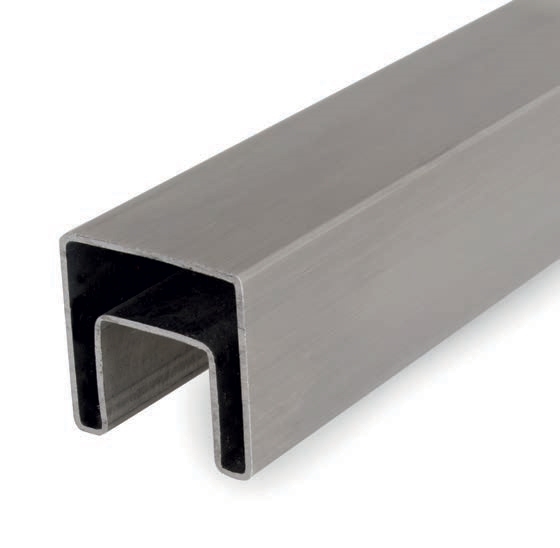 This 316 stainless steel square tube is an essential component of the glass and stainless steel railing system for balconies, or when fitted with the other appropriate parts, stairways, and more. This stainless steel tubing from INOX comes in a unit that is 19 feet and eight inches long, suitable for balconies and stairways of this length, or as add-ons for those that are longer. Due to the length of this unit, which is nearly 20 feet, you will want to ensure you have enough space to store it until you install it into your stainless steel railing system. 316 Stainless Steel Tube 1/2" x 19'-8" 316 Stainless Steel Round Bar 1/2" Dia. x 19' 8" 316 Stainless Steel Tube 1 2/3" x 19'-8" 316 Stainless Steel Tube 1 2/3" x 9'-10"